This statistic shows the number of cars sold by Skoda in France between 2009 and 2016. 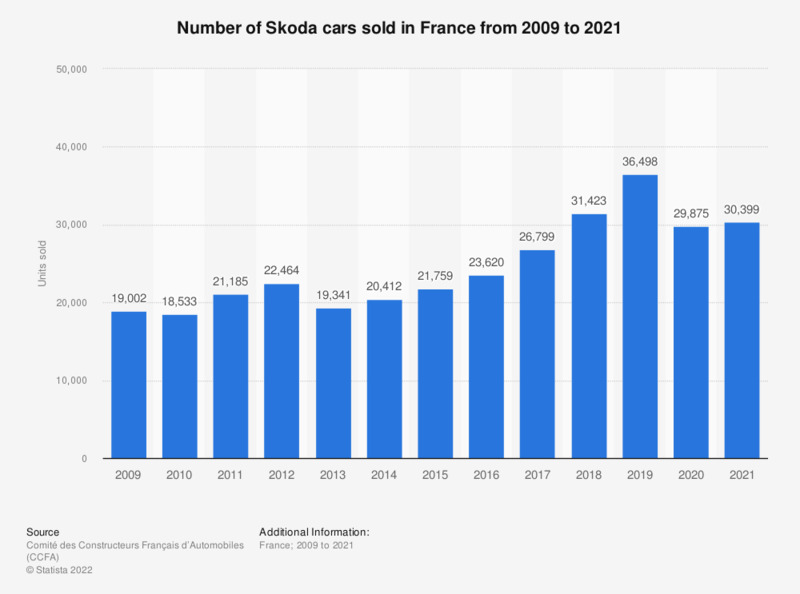 French sales of Skoda cars rose from 19 thousand units sold in 2009 to an early peak of 22.5 thousand units sold in 2012, before subsequently falling to under 20 thousand units by 2013. After a new rise in 2014, Skoda sold 23,620 cars in France in 2016. Sweden: If you own/lease a car(s), which brand are they?